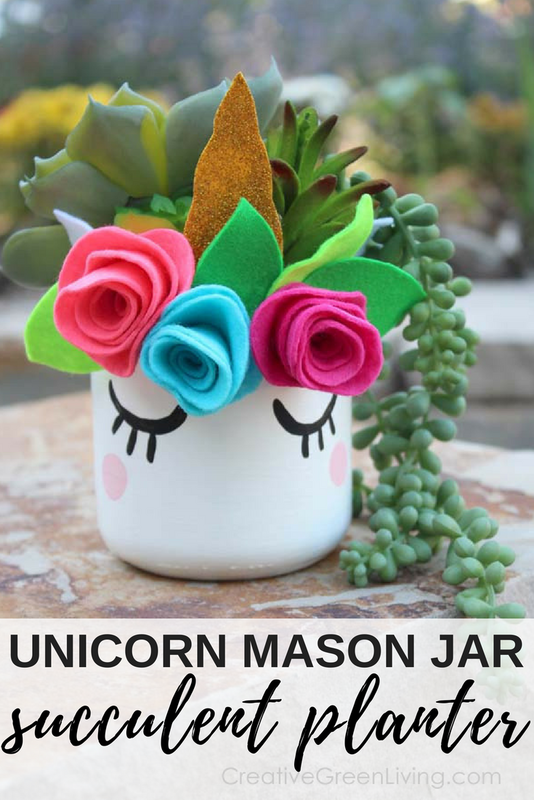 This adorable unicorn mason jar craft may be one of my favorite unicorn crafts of all time. 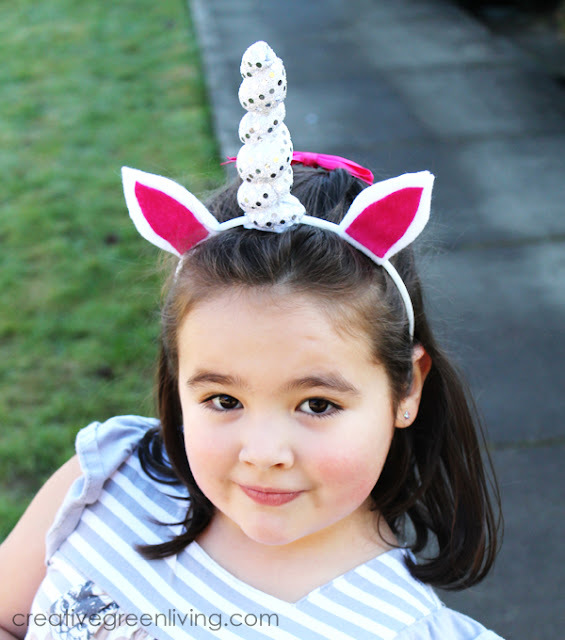 This step-by-step tutorial also includes a free printable pattern to make the unicorn horn and unicorn crown. 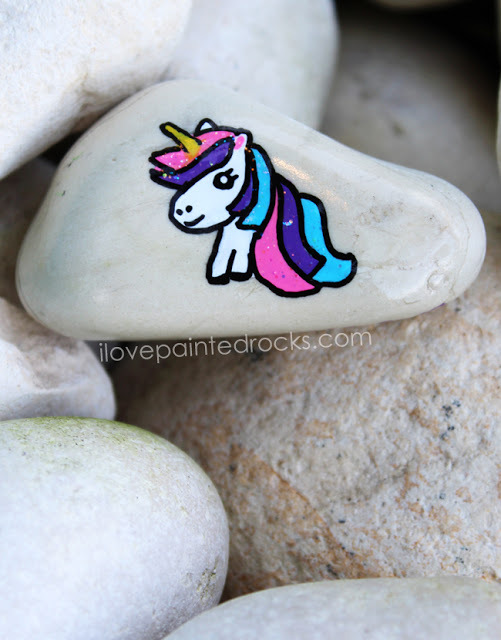 Turn a plain rock into a magical unicorn craft with this easy tutorial from I Love Painted Rocks. Anyone can be a magical unicorn with this DIY unicorn headband. Fashion your own unicorn horn to wear for Halloween or just because. Don't just go as any old unicorn for Halloween! 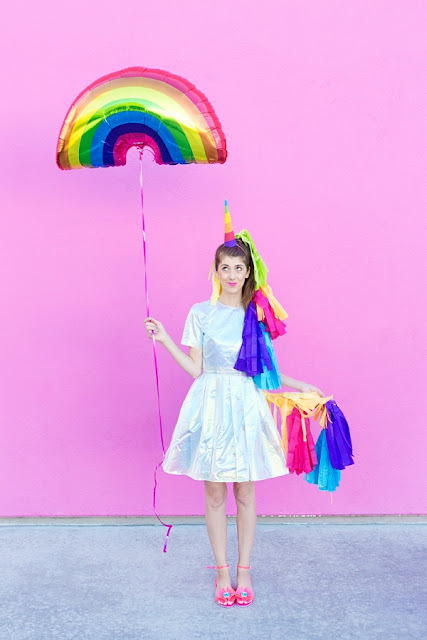 Dress up as a rainbow unicorn pinata. 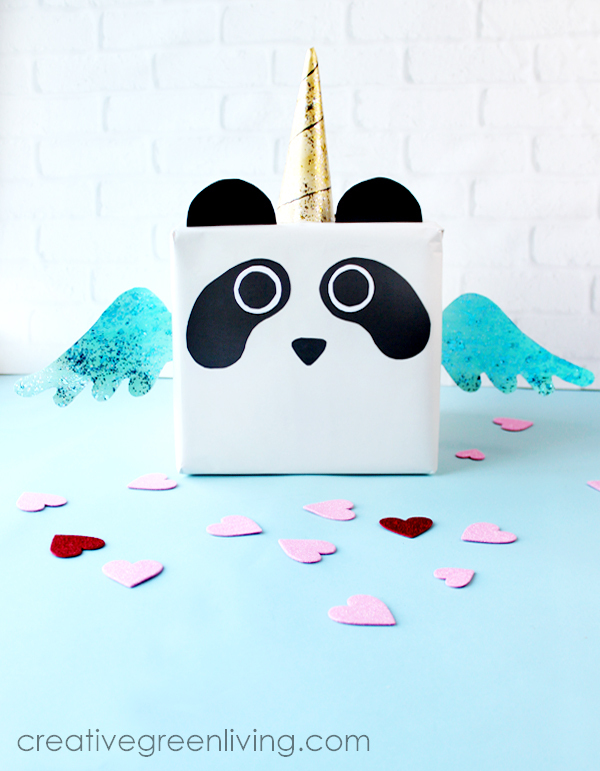 If you love pandas as much as you love unicorns, you will love this magical mashup turned into a cute pandacorn valentine box! 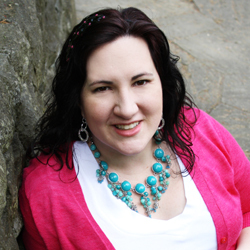 There's even a free downloadable template so making this as home is easy peasy. 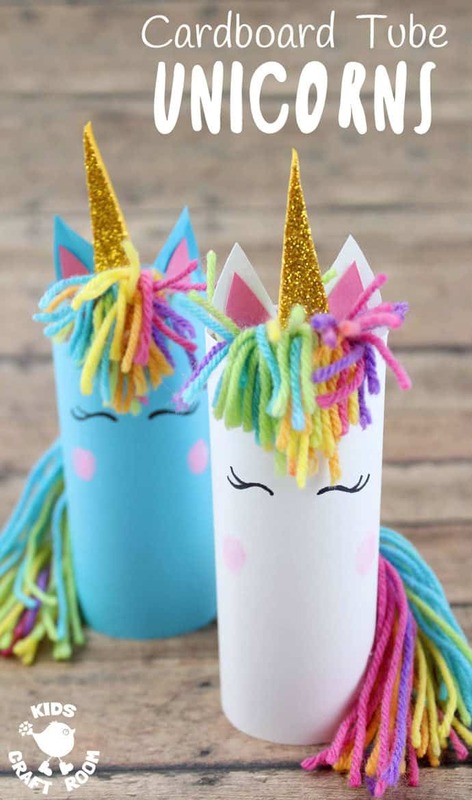 Recycle cardboard tubes into a fun unicorn craft perfect for kids. 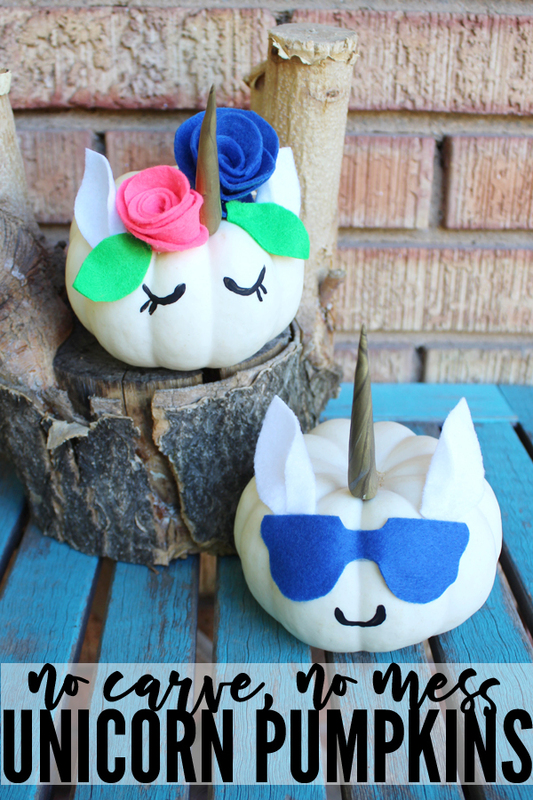 Make your own sweet unicorn pumpkin craft for Halloween! This no-carve pumpkin project wan't require sharp tools or a goopy mess to make. 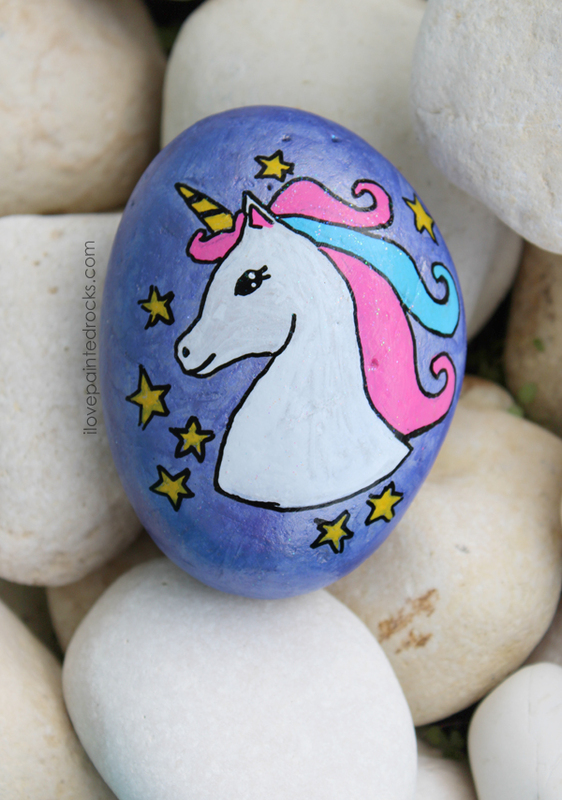 Learn how to draw a unicorn in this adorable unicorn rock painting idea from I Love Painted Rocks. 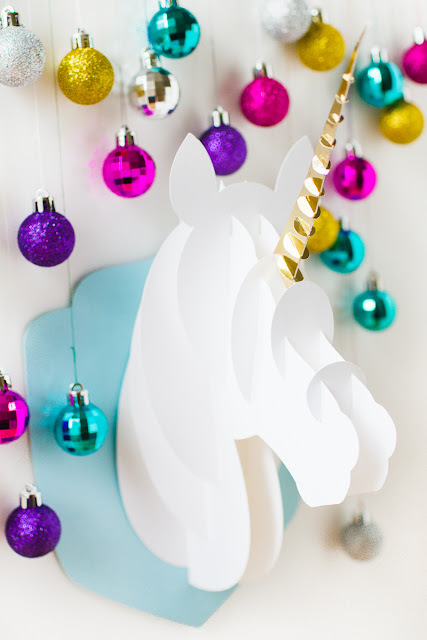 Turn wood slices (AKA wood cookies) into a cute unicorn Christmas ornament with the help of some paint, felt and sequins. Part unicorn pajamas, part unicorn costume, this DIY unicorn Halloween costume for kids from Craftaholics Anonymous looks super comfy so you can lounge in it year round. Dressing up your dog for Halloween? Of course you are! Craft your favorite four legged friend a fun unicorn Halloween costume. 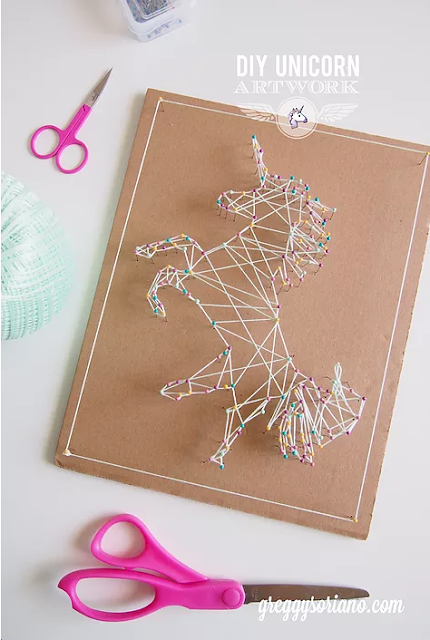 This unicorn string art craft would make wonderful room decor for any teen or tween. This faux taxidermy unicorn wall art is another magical decor craft perfect for any bedroom or dorm. 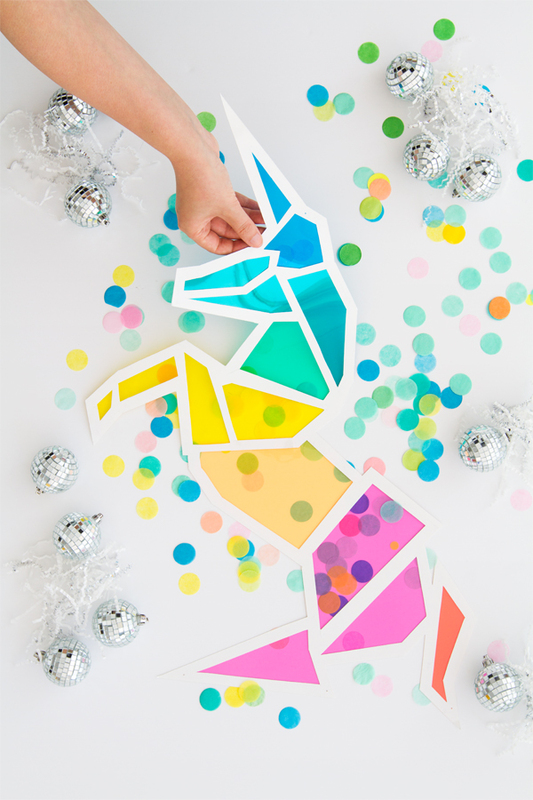 Download the free unicorn template from Oh Happy Day to make this faux stained glass unicorn craft. 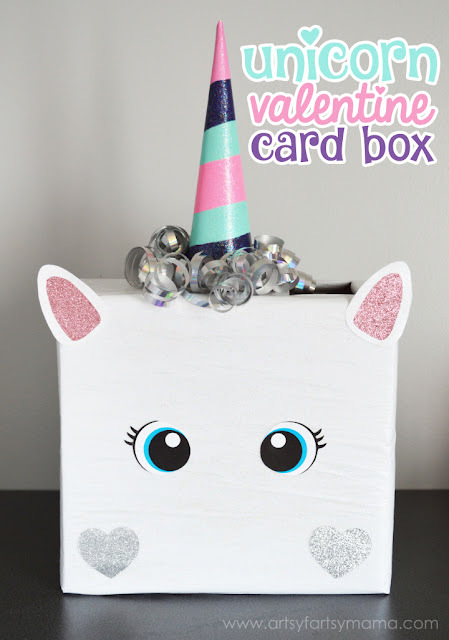 Make a unicorn Valentine's Day card box fit for a rainbow unicorn princess with this unicorn craft tutorial from Design Dazzle. Make a recycled unicorn sleeping mask from an old t-shirt to help you get your beauty sleep. 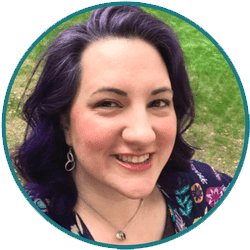 Crafting a unicorn card box doesn't have to be complicated. 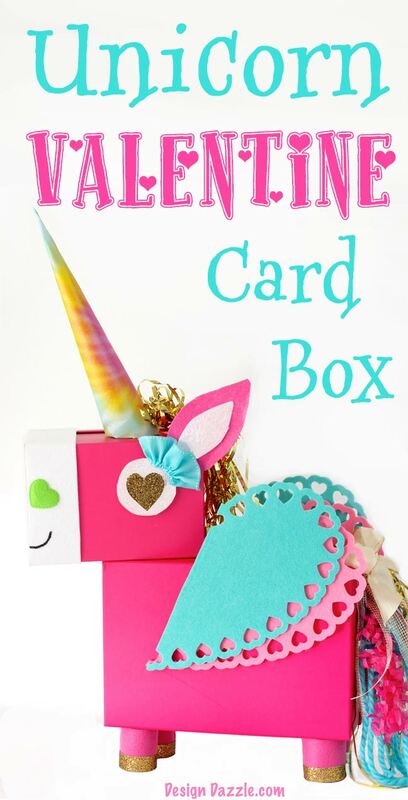 This simple but adorable unicorn Valentine box is easy to make but adorable at the same time. 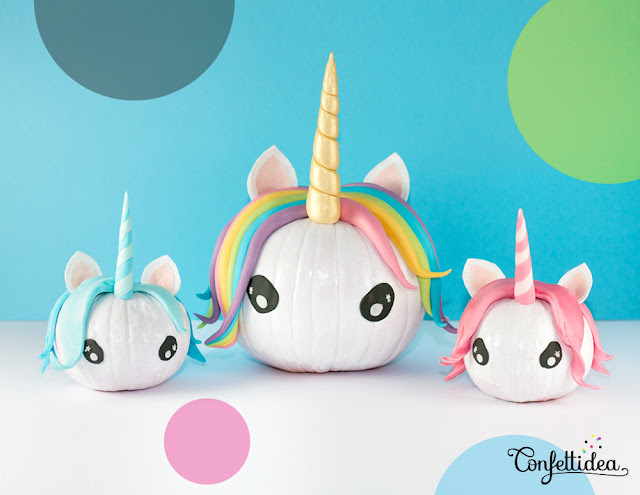 This unicorn pumpkin craft from Confettidea might be my all time favorite no-carve pumpkin craft. 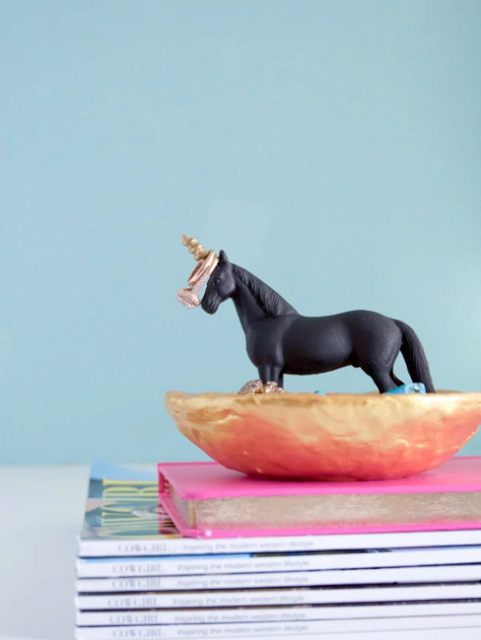 Turn a simple horse figurine into a magical jewelry holder with this easy unicorn craft tutorial from Horses & Heels. 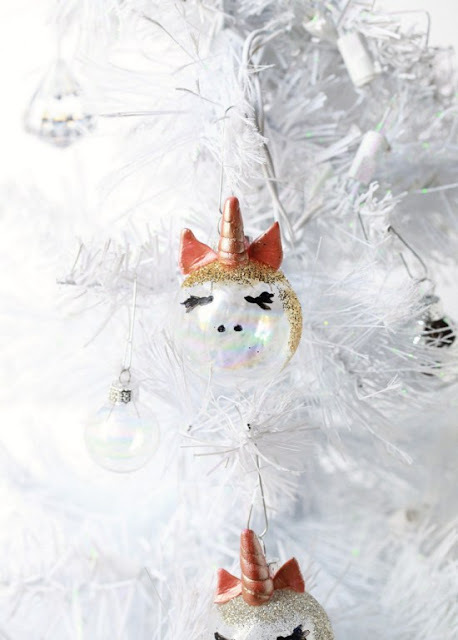 Bring a little unicorn magic to your Christmas tree with these magical unicorn Christmas ornaments. 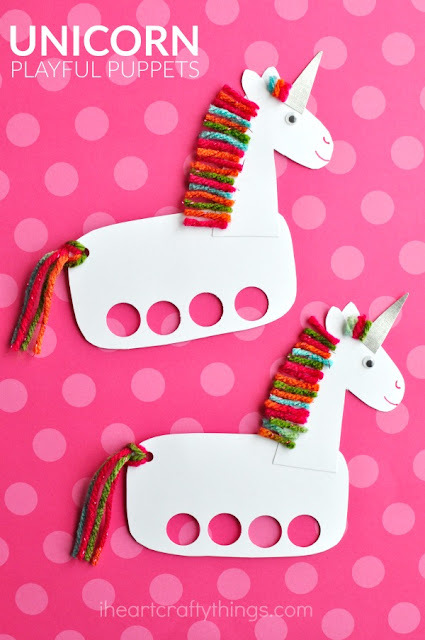 Make this easy unicorn craft perfect for preschoolers with paper lunch sacks. Preparing for a unicorn party? 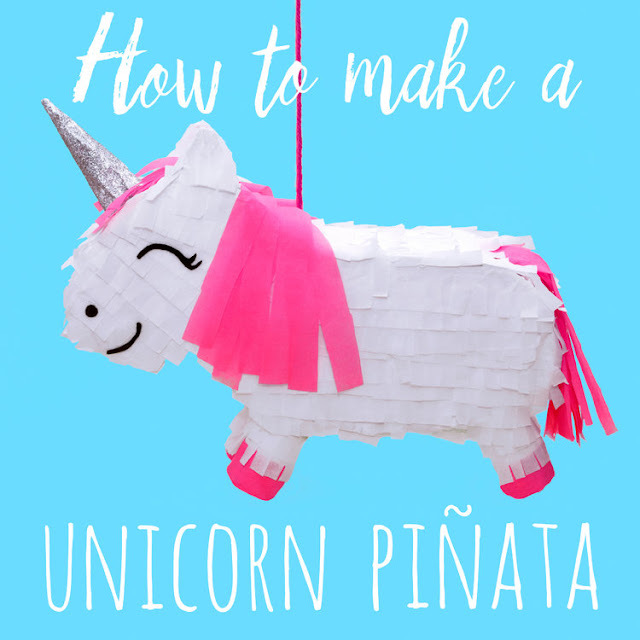 Make it even more magical with this recycled unicorn pinata craft. 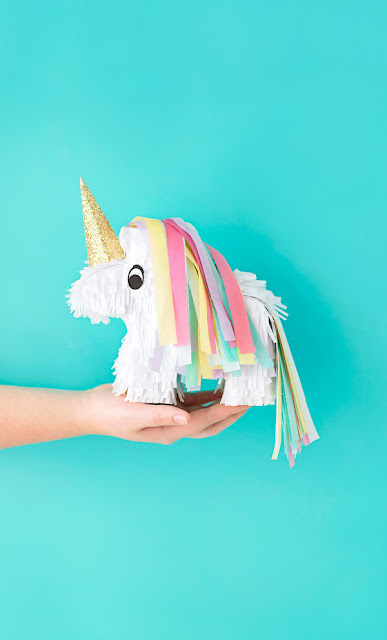 The only thing cuter than a homemade unicorn pinata is a miniature unicorn pinata! 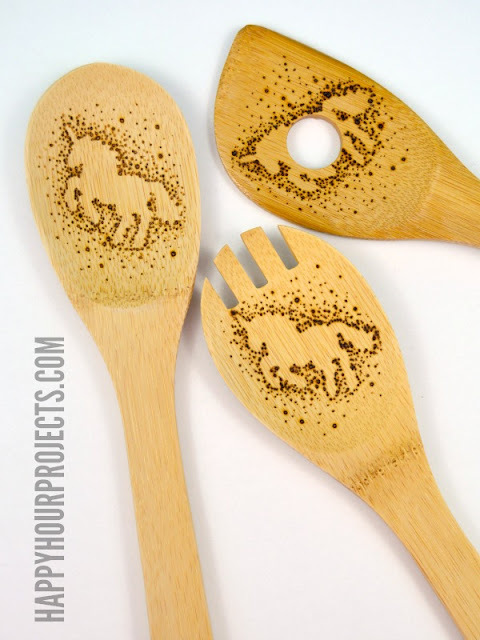 Upgrade your boring bamboo cooking utensils with this easy wood burning unicorn craft. 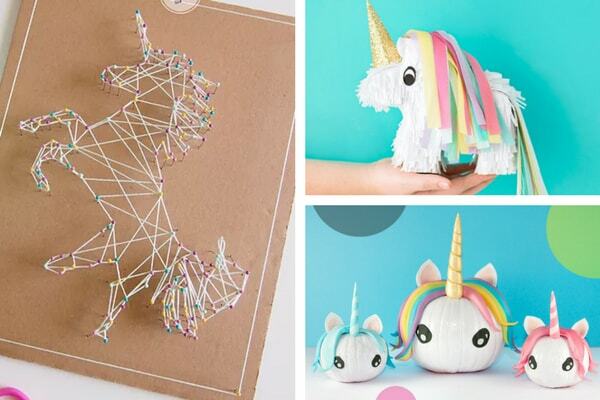 This easy popsicle stick unicorn craft is perfect for an easy crafternoon with your preschooler. 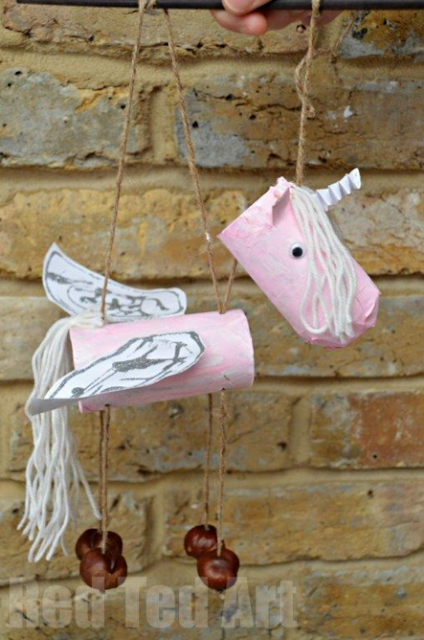 I especially love recycled crafts and this unicorn puppet craft made from cardboard tubes is no exception! 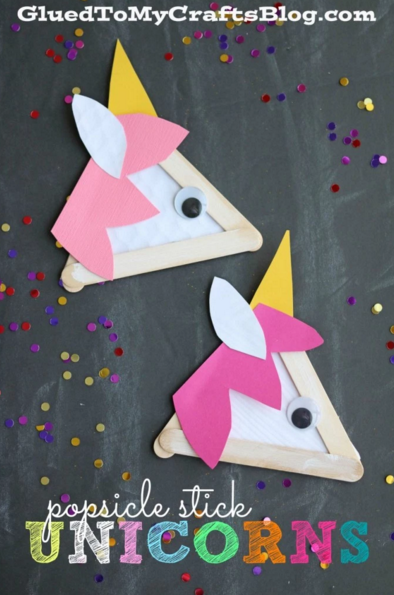 This fun kids unicorn craft will have your little ones playing pretend all afternoon. 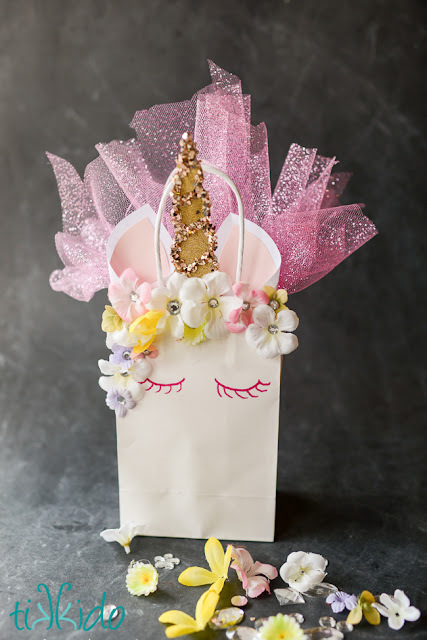 This unicorn gift bag is perfect for party favors or for gift giving to your favorite unicorn lover. Need a hand? 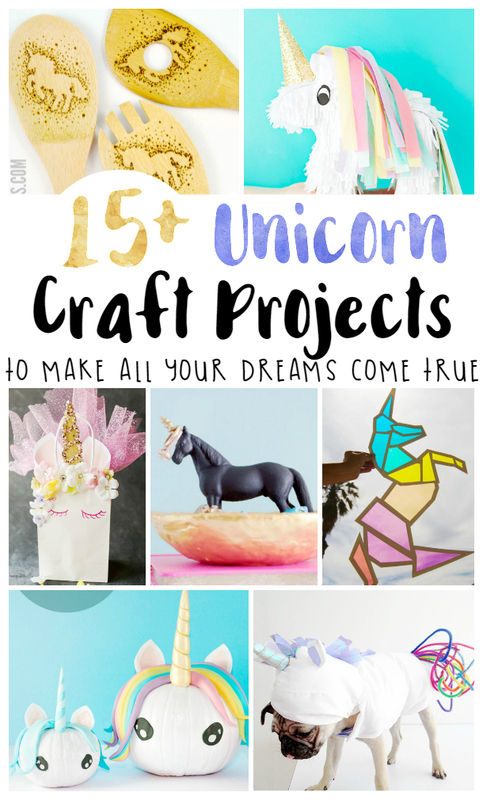 Shop for unicorn craft supplies and kits here! 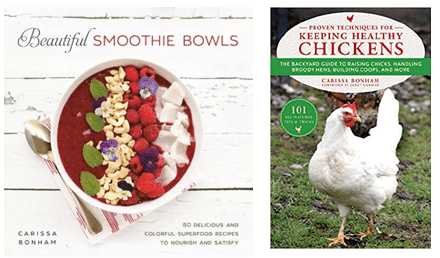 If you loved this post, don't forget to save it for later!